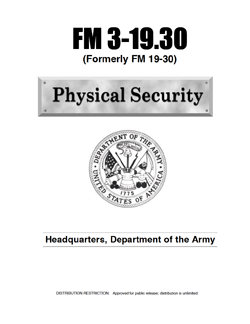 This field manual (FM) sets forth guidance for all personnel responsible for physical security. It is the basic reference for training security personnel. It is intended to be a “one-stop” physical security source for the Department of Defense (DOD), the Department of the Army (DA), and other proponents and agencies of physical security.